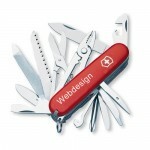 My name is Andy and I have been working in both Web and Print design for over 15 years. Currently I am focused on design and development of websites and e-commerce solutions form small and medium companies, mostly from Dublin area. Being deeply technical and creative at the same time I am just the man you need to get a website done – on virtually any budget. I like the way website design lets one to merge two seemingly opposite things – technicality of programming and creativity of graphic design. Having keen interest in web marketing and data driven decision making process I can make a whole world of a difference to your online success. I target mainly small-medium companies and startups. I believe that my cross-disciplinary skillset is best suited for them and lets me offer solutions that are hard to get elsewhere without a big budget. Most of my customers are from Dublin area but of course I offer my services nationwide. I think that creating websites is only half of the job. A website has to generate profit. Help with online marketing, search engine optimisation and educating customers to make them self-sufficient is what makes the picture complete. Times are tougher so with me you always have a choice: hire me to do the job (Full website or Store Management, Search Engine Optimisation, online advertising, Facebook page management etc) or learn how to do it by yourself in a friendly, personalised manner. Fear not to try – if you ultimately find out it is not for you, you will still benefit enormously by better understanding the process. This way or another, your time is not going to be wasted. If you need a turnkey solution or are too busy to get involved – my website management fees are cheap and you will get excellent value anyway.